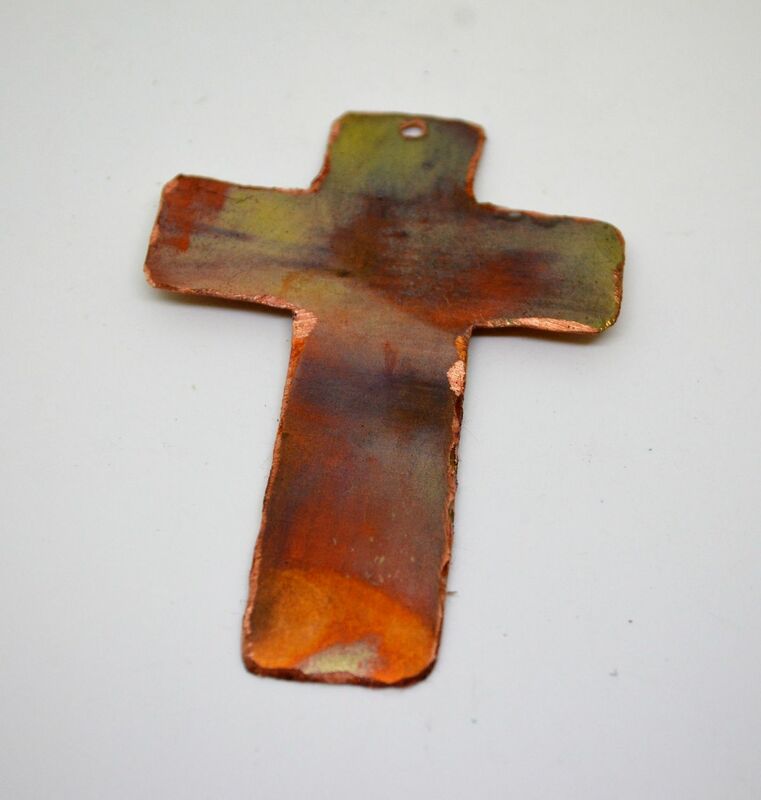 Our Rugged Cross Necklace was specially created at the request of one of our customers.The challenge was to create a meaningful statement piece that was beautiful while at the same time, depicted the cross in a more rugged and realistic manner. 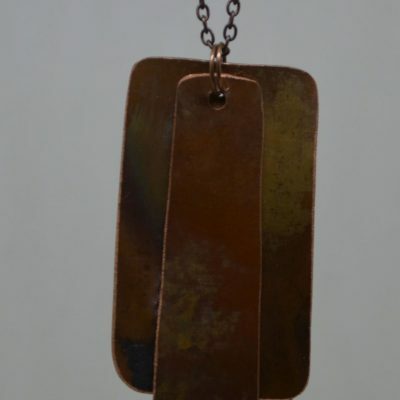 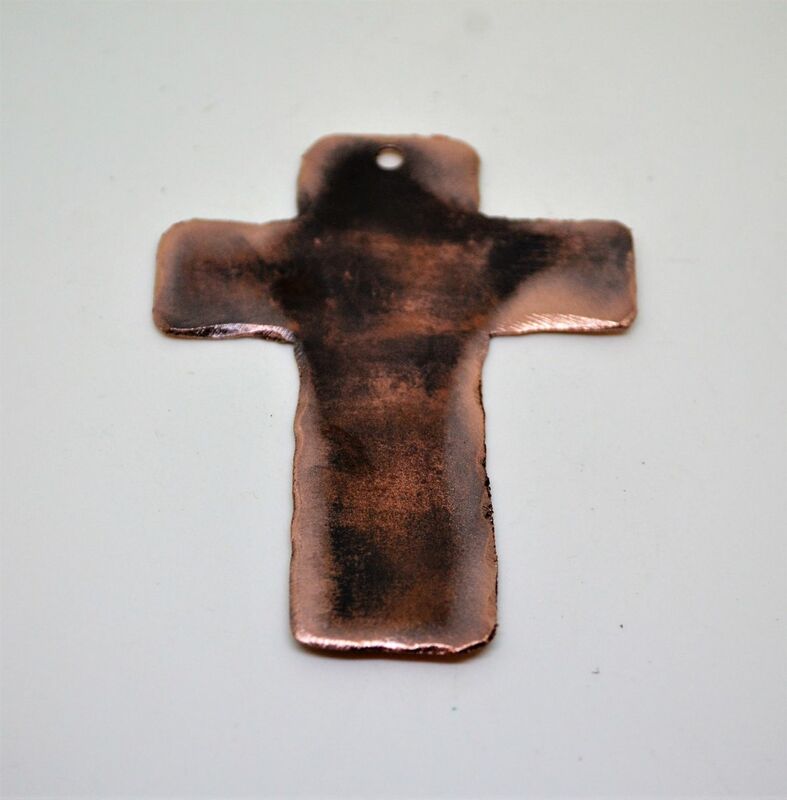 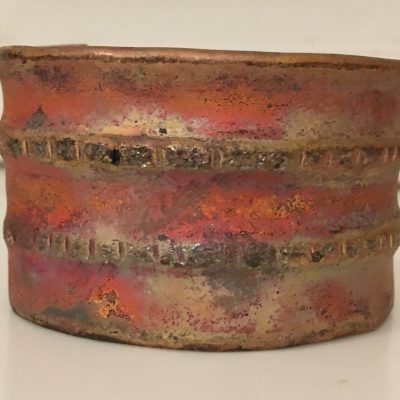 Through flame-firing, we are able to produce hues of oranges and reds, blues and brown.The copper cross is 2 inches tall and is suspended from your choice of brass , sterling or black chain in a variety of lengths. 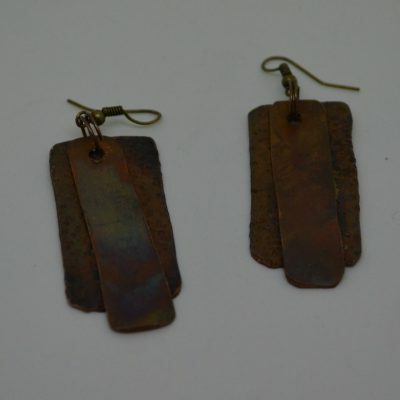 *The photos are examples only the color choices. Reproducing an exact replica is not possible when flame-coloring.